An angelMD investor syndicate has closed the VICIS $8M Seed Round as the company works to address the critical issue of concussion related issues in sport. Syndicates provide an intelligent and efficient vehicle for individual investments in life sciences... They are really a superior way for angels to invest." Today, angelMD announced that an investor syndicate from its network completed an $8M Seed round in VICIS – the premier football helmet company demonstrating significant safety advacements. VICIS was founded by a pediatric neurosurgeon and engineer from the University of Washington along with a life sciences industry executive who together have reimagined the form and function of the football helmet. The early stage company has a deep bench of engineering talent and they have aggressively built a patent portfolio to strengthen their market leadership. Extensive analysis of the VICIS helmet has shown a significant reduction in the impact of force versus leading helmets on the market. “VICIS represents everything investors on our network look for: a great idea, a strong team and impeccable timing. We are pleased to have enabled members of our community to participate in this venture when most had never before heard of the company. 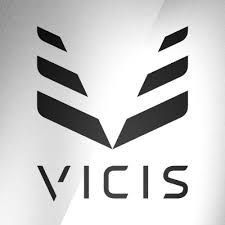 Moreover, VICIS represents an immediate solution for the NFL and football in general.” said Tobin Arthur, angelMD CEO. angelMD recently introduced the syndicate investment product to its network after extensive work with a nationally renowned group of alternative fund attorneys. The company has a pipeline of syndicates being formed while it is simultaneously recruiting and training members of its community to become future syndicate leaders. “Syndicates provide an intelligent and efficient vehicle for individual investments in life sciences. They enable angelMD to aggregate smaller investments into a special purpose fund that mitigates risk for the investor and represents a cleaner investment for the startup. They are really a superior way for angels to invest.” said Tobin Arthur. angelMD is an investment platform and marketplace connecting innovative medical startups physicians, investors and industry partners. Leading physicians from all over the US have joined the angelMD Clinical Advisory Board and Leaders Club to help source and evaluate opportunities in biotechnology, medical device and healthcare information technology. For more information, visit http://www.angelmd.co.